Hello AMLT Network and community. Keeping on pace with our Short Term Roadmap we’re launching the “Crypto Stats of the Month” series. 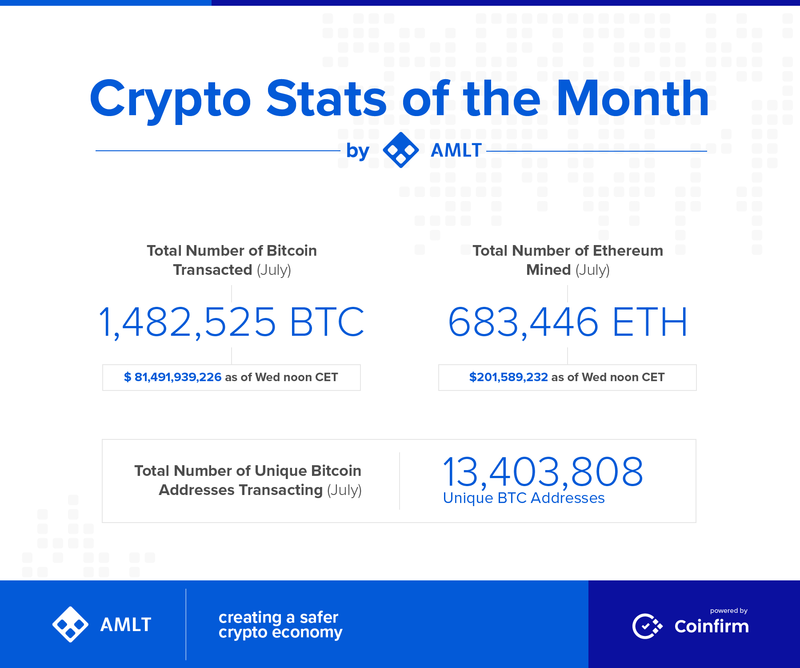 This monthly series will feature a variety of unique monthly stats from across the cryptocurrency space and begins with data for the month of July. We’re launching this series to showcase and provide unique insights into rapidly growing cryptocurrency economy. We hope you will enjoy this series along with our others such as Crypto Alert of the Week and if you have any feedback we would love to hear it. In case you don't see the infographic below. Click here.